Whether for a wedding, birthday, graduation or any other special occasion, there is no better gift than art. 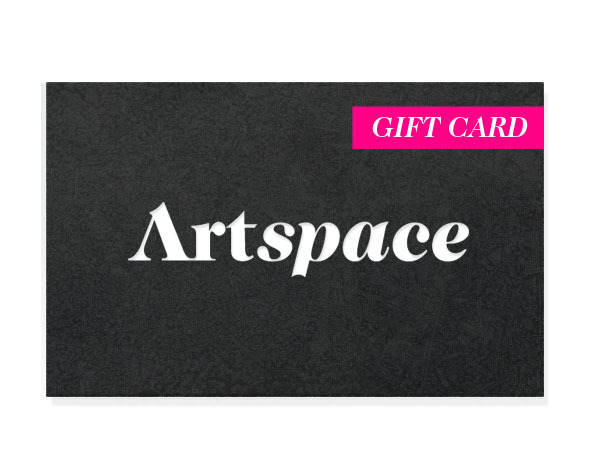 Artspace eGift Cards can be used to purchase anything on Artspace.com so you can be sure people will pick what they love. The Artspace eGift Card will be delivered to your recipient immediately after you purchase it via email with your own customized message. Or, if you prefer, you can email it to yourself, print it out and present it personally. Make someone a happy collector. Give the Artspace eGift Card today. Note: Once your credit card has been processed, an electronic certificate will be mailed to the recipient. A copy of this certificate will also be sent to you for your records.